Perfectly bohemian chic! 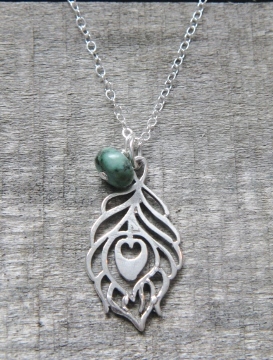 This necklace just screams carefree, playful and spiritual. 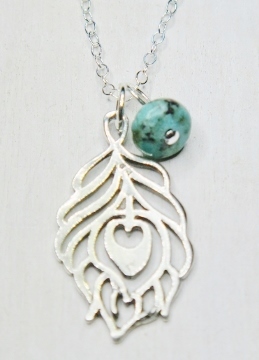 Exotic sterling silver feather with dainty removable African turquoise bead that falls from 18" sterling silver cable chain with spring clasp.